Thank you for visiting Coopers Redneck Kennel. We are a Dallas/Fort Worth based breeder located in Longview Texas. We are a show quality breeder that keeps all of our Studs, Ladies and puppies in our home at all times. We are always looking to compete with our next champion at hunging competitions in the Texas, Oklahoma and Lousiana area. Our Vizslas are bred for good temperament, size, marking and structure. Our goal is to breed the highest quality Vizsla for your home. Learn how to buy a Vizsla. Purchasing a Vizsla from The Coopers Redneck Kennel is easy! See what Vizsla Puppies we have for sale! If we don't have puppies available now, sign up for our newsletter to be notified about upcoming litters and puppies for sale. Finding a trustworty Vizsla breeder is not easy. The Coopers Redneck Kennel breeds only Champion blood line puppies with quality tempermant and solid health. Our puppies come from champion lines that have a proven track record free of congenital and genetic heart, eyes and patella knee defects. If you do not purchase from a show breeder you may be getting a puppy with a much higher probability of genetic defects or a tempermant not congruous to the loving dispositions that Vizslas are known for. Learn about Vizslas! Learn about their history, tempermants, habits, looks and the AKC breed standard. 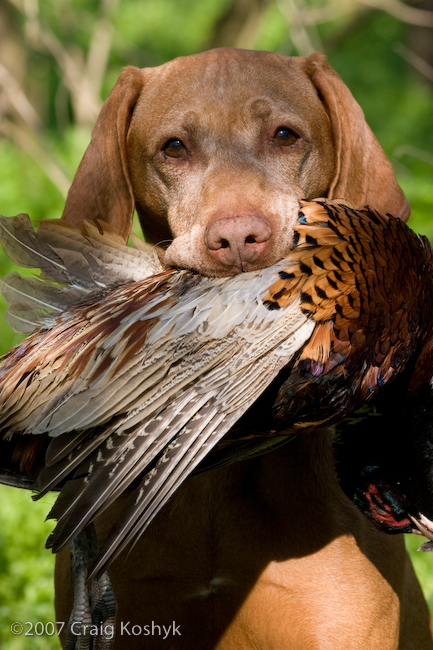 If you want to buy a Vizsla in Texas, Oklahoma or Lousiana you have found the right breeder! We also ship Vizsla puppies all over the United States! Please contact us if you have any questions about our Vizsla puppies for sale!